2200 E Dublin Granville Road (161). 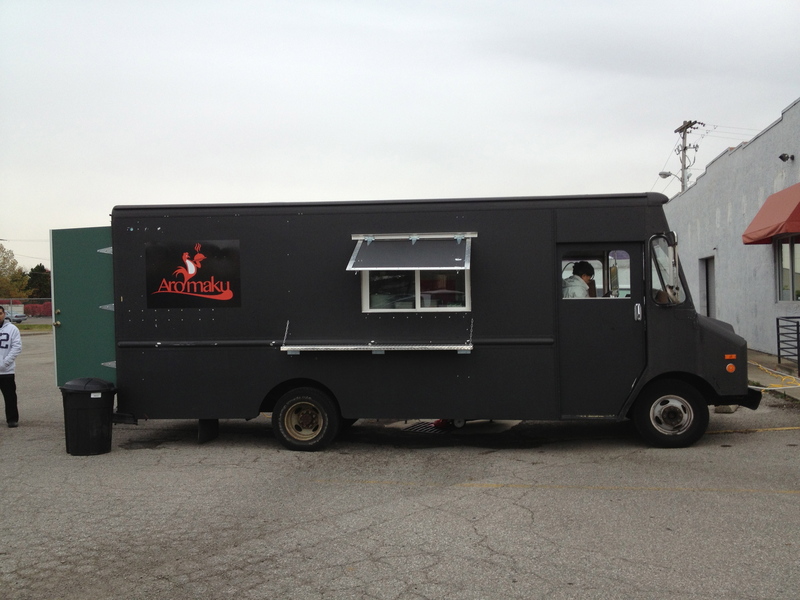 Next to Taco Nazo. As of our first visit, Aromaku offers three distinct dishes. 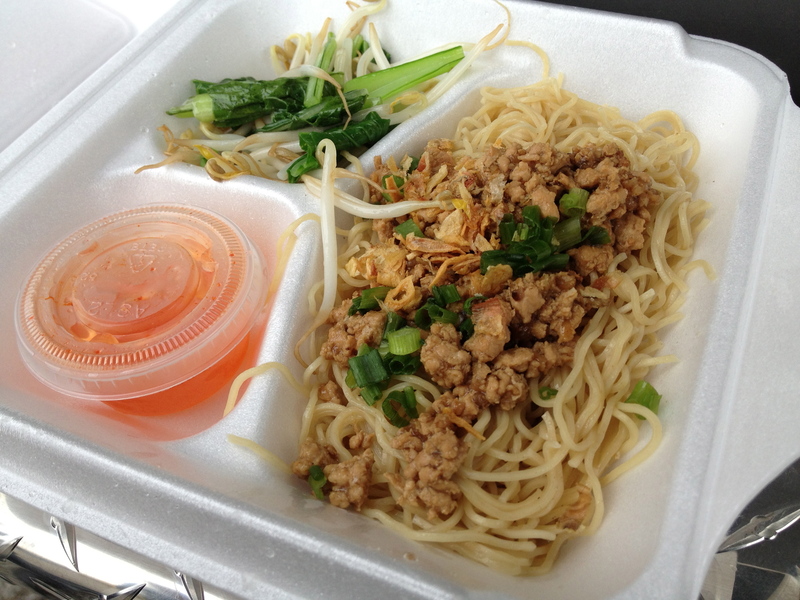 We started with the bakmi ayam – egg noodles with ground chicken. 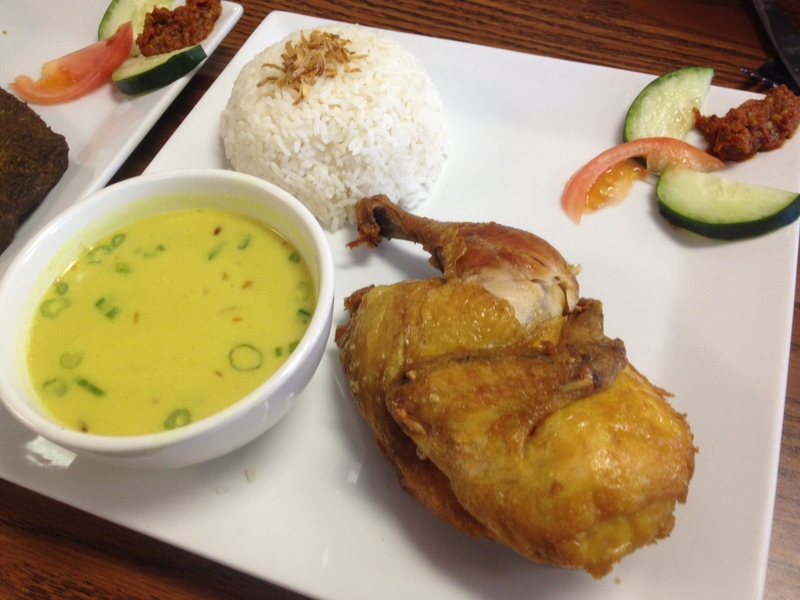 Indonesian food in Columbus is limited and this is a dish that we’ve not come across before. Served with some greens and bean shoots, the chicken is surprisingly flavorful with a noticeable amount of black-pepper. The noodles were nice and springy. Overall, a winner – especially at $6.95. Next we tried the classic Indonesian dish rendang, a spicy beef stew made with coconut milk and strongly flavored with lime leaves. In many respects, Aromaku’s rendang sauce reminded us of a concentrated Thai tom kha – and that’s not a bad thing at all. Rendang is, by it’s nature, fairly rich, so the modest portion was just right and the salad (or achar) is a great accompaniment. 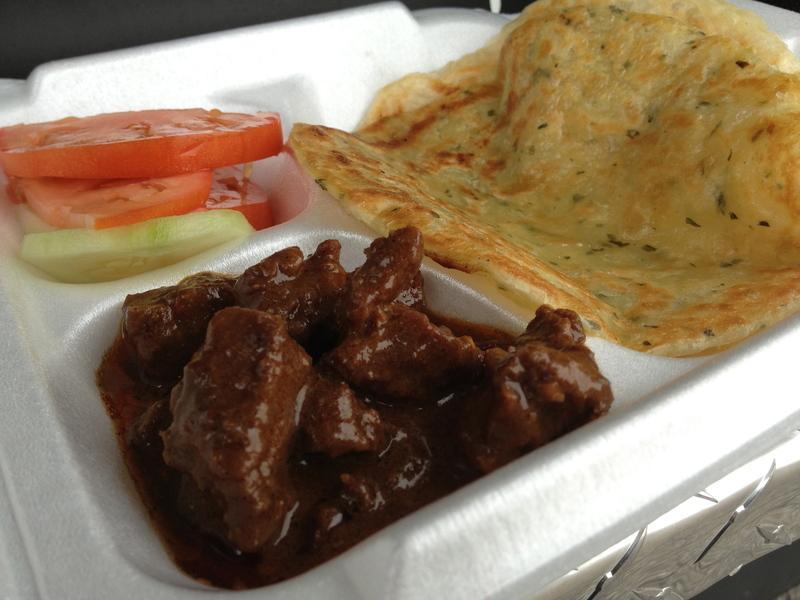 Rendang is offered with either rice or a roti (shown below). A quick elaboration on roti – they’re a flat, pan cooked bread, made to order. Aromaku offers them either plain or with green onion. We liked both but would give the edge to the green onion. Although they share the name with the Indian (whole wheat) roti, they’re quite distinct – white flour-based, pan fried, and much flakier. And, they’re perfection when paired with the rendang. Lastly we tried ayam goreng (fried chicken) which is marinated in a complex spice mixture and has a crispy but un-breaded skin. 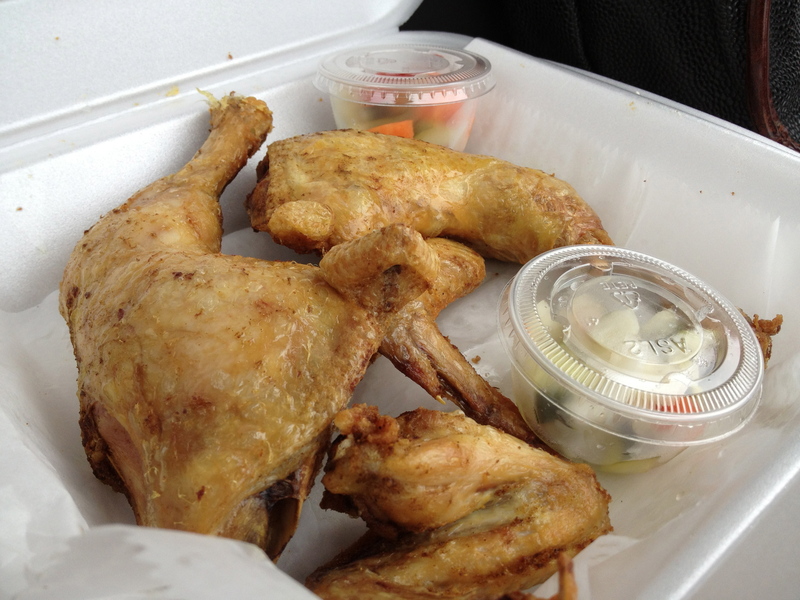 A typical order would be two leg and thighs or four wings. This pleasantly flavored fried chicken is served with achar, lightly pickled vegetables. The drinks selection is extensive and includes several tropical juices (mango, guava), a couple of ice teas and the more obscure soursop, white gourd and sugarcane juice. The white gourd (aka winter melon juice) was particularly interesting and unexpectedly tasted of nuts and caramel. The teh kotak was an enjoyable jasmine tea drink. Suffice it to say that, overall, we’re fans. Indonesian cuisine can, on occasion, be a bit challenging to the American palate, but the offerings from Aromaku struck us as being both faithful to their origins and well selected for wide ranging acceptance. Check ’em out. Last year when Taste of Bali closed, it seemed as though Columbus was suddenly lacking for Indonesian food. Happily, we’ve come to find that was not the case – Lily’s offers it, and it’s our distinct impression that it’s superior to it’s lapsed competitor. The restaurant, which occupies the old Hometown space on Bethel Road, is run by an Indonesian family. Although they are hedging their bets with sushi, Chinese, and Thai, it’s primarily the small but well chosen range of Indonesian dishes on the menu that’s the real draw. Acknowledging our lack of expertise in Indonesian cuisine, we invited some Indonesian exchange students to accompany us to Lily’s, where we ordered one of every dish from their homeland. Each dish was fully dissected, analyzed and graded – these guys knew their food, and would go off on long (and invariably fascinating) tangents describing in minute detail the proper preparations of each dish and how they relate to the cultures of their regions of origin. 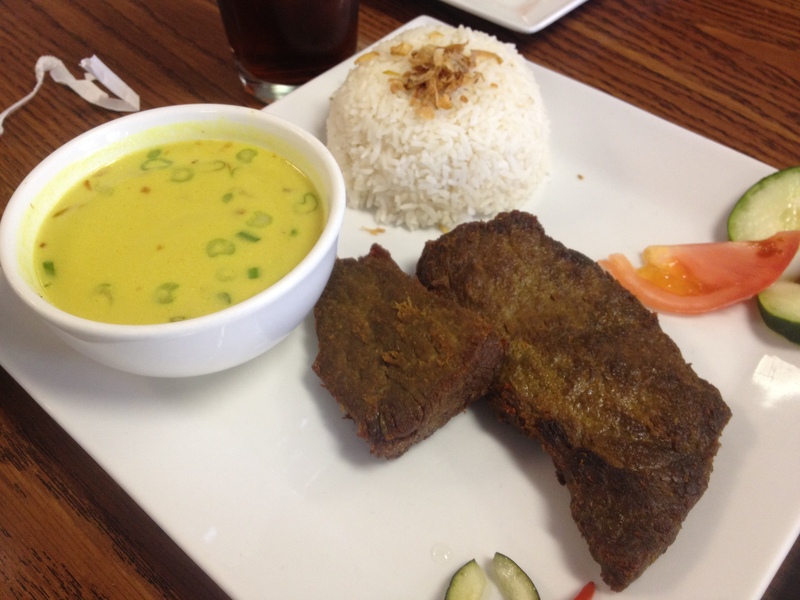 The best dish, according to our Indonesian critics, was the empal marinated fried beef steak which is sweetened with brown sugar and coconut and flavored with coriander. 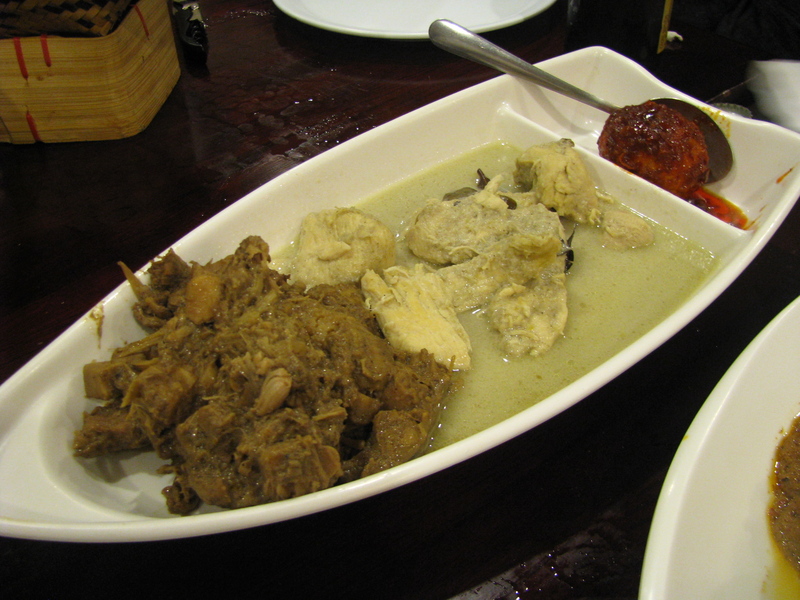 It is served with rice, a mild curry soup, and house made sambal; a curry paste made with dried shrimp paste. The beef was a little chewy but had a lot of flavor and was deemed by the Indonesians to be a real taste of home (‘99% like home!’, one exclaimed). The soto betawi, a beef soup reminiscent of a mild Thai curry, was also deemed to be very authentic (‘95%!’). It is served with rice, chips and belinjo (aka melinjo crackers). 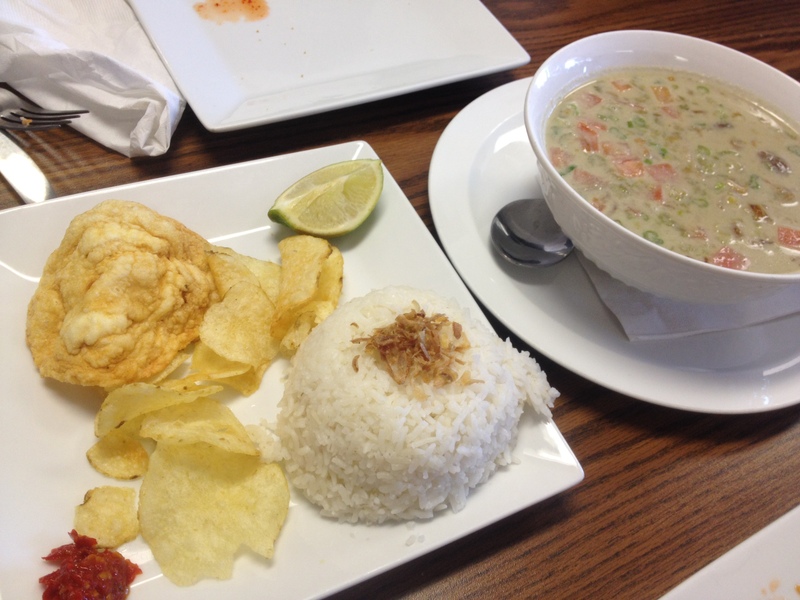 We learned that soto betawi is soup of the Betawi people, from around Jakarta, and that many regions of Indonesia have their own distinctive soup. We thought the ‘marinated fried chicken’ was good, with a nice crispy skin and still moist meat, but we learned that American chickens are much fatter than Indonesian chickens and in our friends’ eyes the plump American could not compete in flavor. The Belcan and Indonesian fried rice and the rendang were given passing grades. One complaint was that the rice was not spicy enough, but the server let us know that next time we could order it Indonesian style – extra spicy. In a nod to Lily’s other offerings, here’s a gratuitous shot of their delicious, cracklin-tastic roast pork. This restaurant closed late 2011. 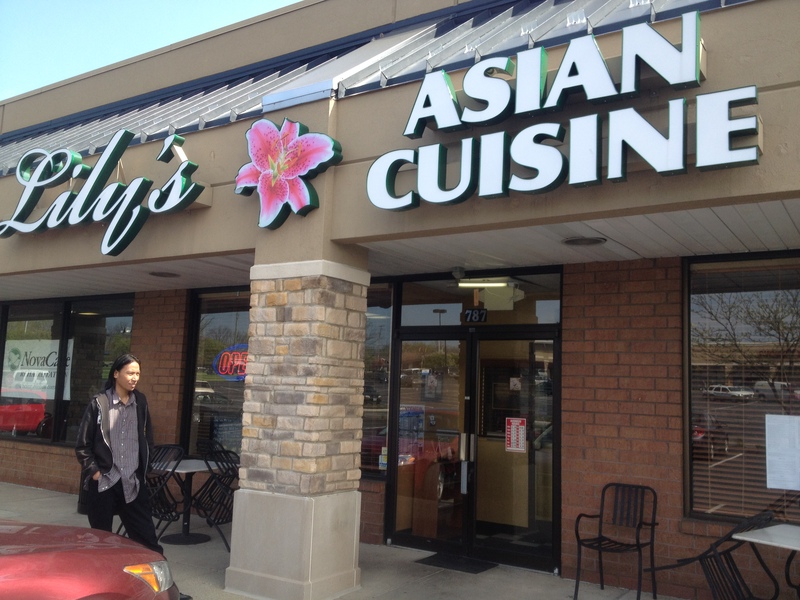 If you are looking for Indonesian dishes in Columbus you may find some at Lily’s on Bethel Road. 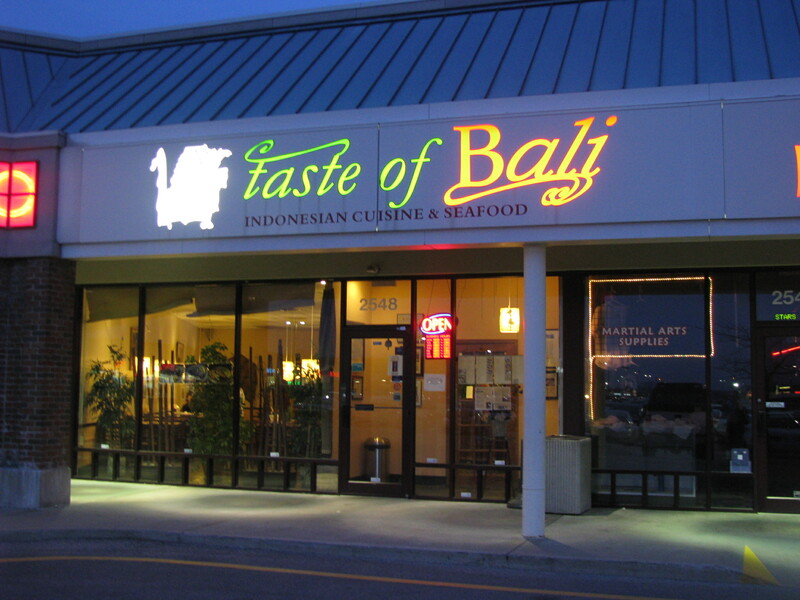 Taste of Bali is the only Indonesian restaurant in Columbus, and the only Indonesian restaurant we’ve ever been to. This simple fact made it harder for us, as newcomers to Indonesian fare, to compare the quality and authenticity of their food. As the menu can be somewhat daunting in its unfamiliarity, Taste of Bali have a variety of set menus with different names such as ‘vegetarian’, ‘spice lover’ and ‘adventurous’. Since we were a large group, though, we opted to order a la carte. We started with the Bali Sampler, a mixed plate of appetizers including sate ayam (chicken satay) which was pretty run of the mill, pangsit goreng (deep fried chicken dumpling), crispy crab and vegetarian spring rolls, none of which was overly memorable, and risol (a chicken and vegetable spring roll) with a slightly creamy but largely flavorless filling. Our server, who was very accommodating and helpful, offered some suggestions and we had also come armed with some recommendations. Beyond those, we also tried some of the ‘new’ menu items. 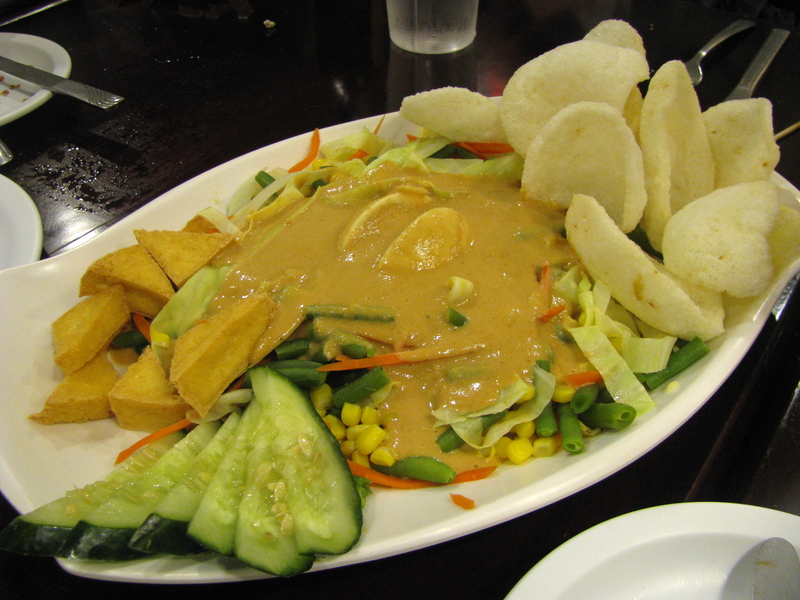 One of these was a salad called gado-gado comprised of steamed, mixed vegetables topped with lettuce, deep fried tofu, a boiled egg and peanut dressing and was served with shrimp crackers. The mixed vegetables were straight-from-the-freezer green beans, carrots and sweet corn. The dressing was more of a sauce and there was a lot of it. 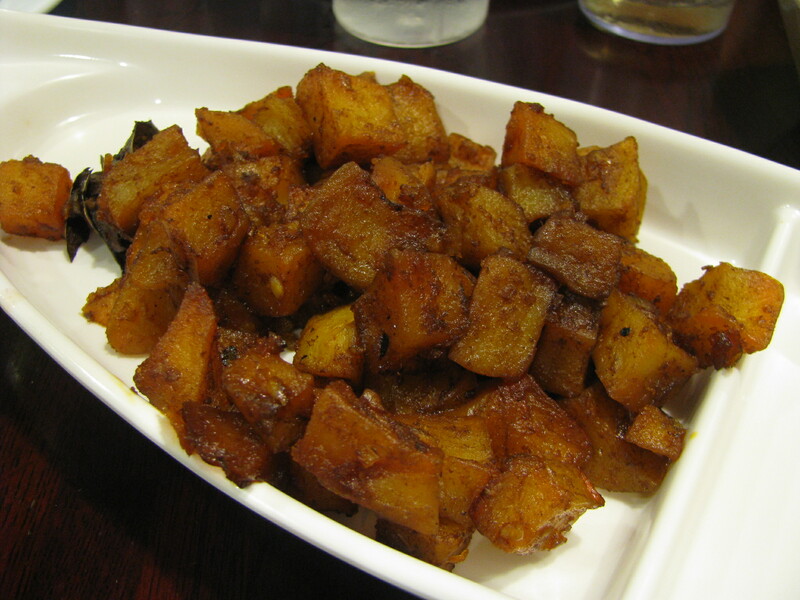 Sambal goreng kentang were fried diced potato stir fried in sauce; a tasty side dish and one I would order again. 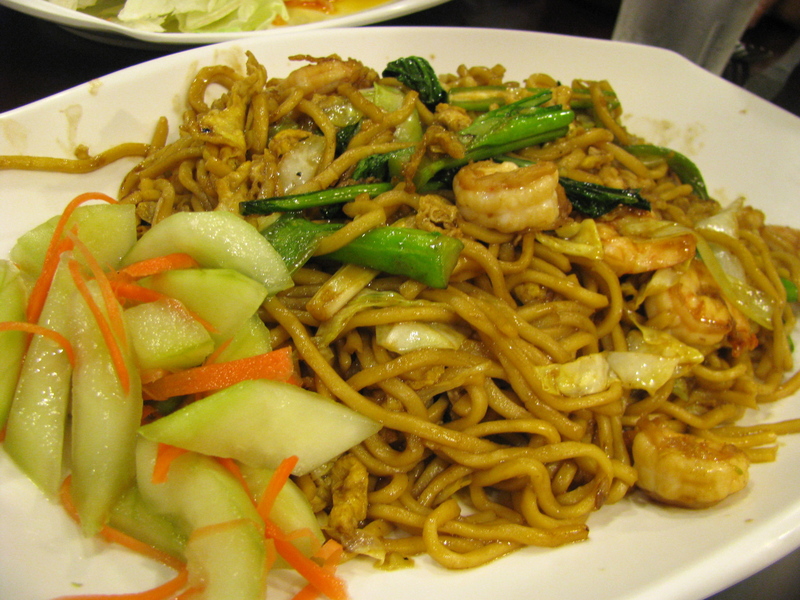 Mie goreng was stir fried egg noodles with shrimp, cabbage, scallion, chinese vegetables and egg. It was a little overcooked and surprisingly bland. We ordered a couple of different chicken dishes: Ayam bakar jimbaran which was grilled marinated chicken and Ayam bumbu rujak which was grilled chicken breast in red curry sauce. Unlike a Thai red curry, the ayam bumbu was just chicken, somewhat overcooked in a rich sauce. The bakar was competently executed grilled chicken marinated in a sweet sauce. 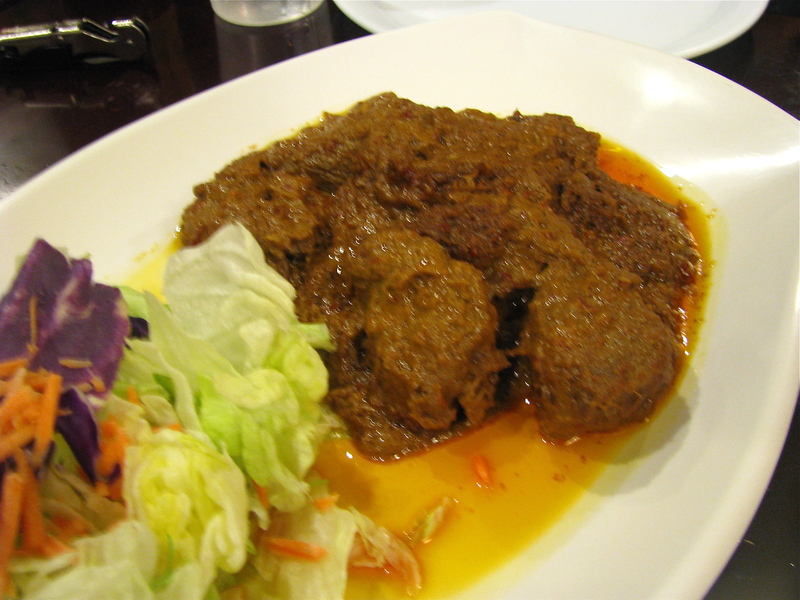 Redang daging was a flavorful stewed beef with spices in curry sauce and was one of the most popular dishes. 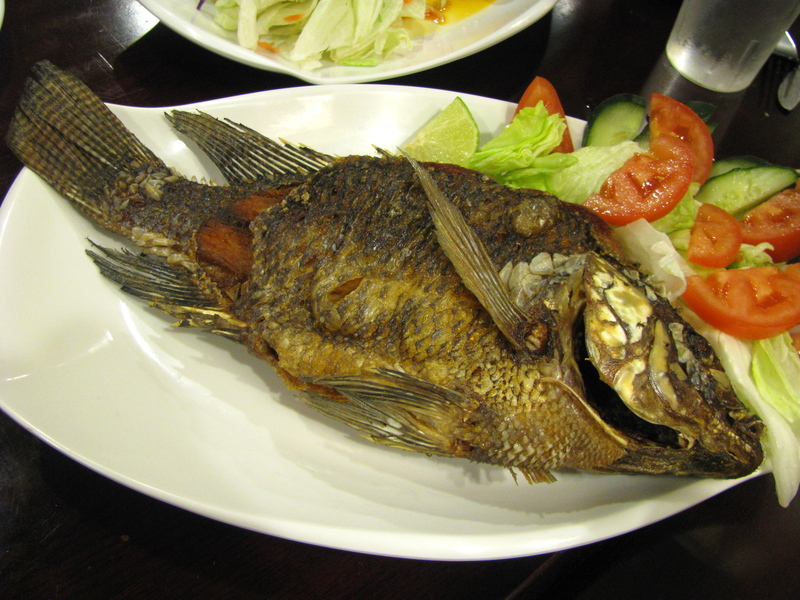 Gurame Goreng was deep fried fish served whole with sambal ulek (hot sauce) and lalapan (salad). It was slightly overcooked and bland, at least without the accompanying sambal. Gudeg is a combination of opor ayam (chicken breast in white curry sauce) and telor balado (egg boiled and pan fried in chili sauce) and jack fruit. Jackfruit is a great meat substitute for vegetarians and vegans and was another popular choice. The egg was very spicy. One thing we noticed overall was that most of the dishes were very sweet, which may be partly attributed to the use of coconut milk in many of the dishes. Dessert options include fresh young coconut, bubur ketam hitam (warm black rice pudding topped with coconut milk) and shaved ice with fruit and condensed milk, with either es durian or es teler with sweet jackfruit, avocado and young coconut in sweet coconut milk. The sweet icy desserts were a great antidote to the spicy dishes. Being frozen, the durian was not as stinky as its reputation but still slightly odiferous. It tastes much better than it smells. Taste of Bali has a children’s menu and caters to vegetarians. 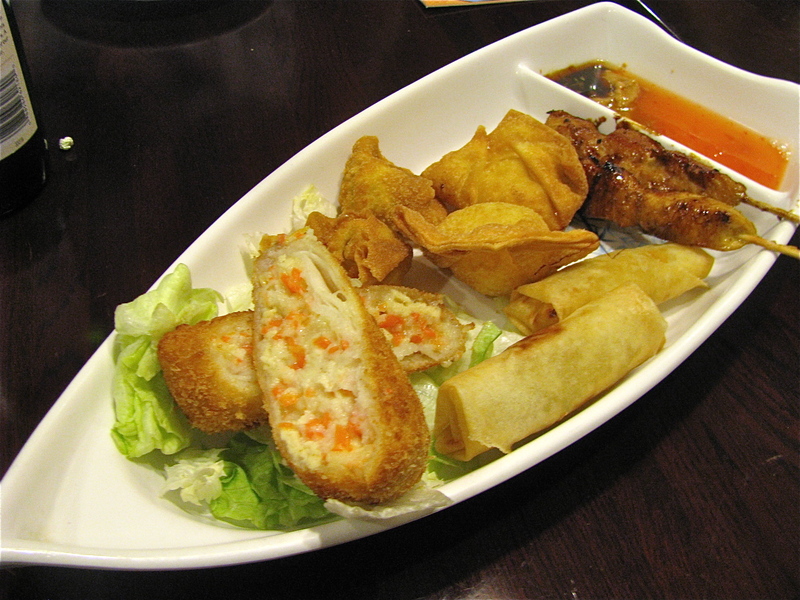 Their menu also offers some pan-Asian dishes and notes healthy menu options.